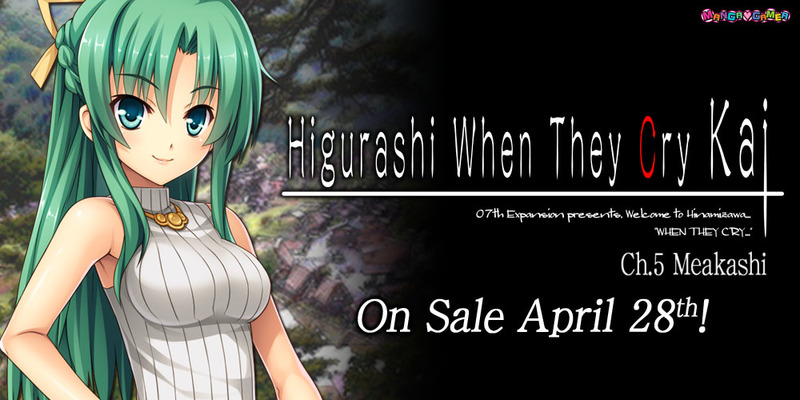 Higurashi Kai Chapter 5 Meakashi Now Available for Pre-order! The fifth installment of the Higurashi series, Meakashi is now available for pre-order! Meakashi will also be available on Steam upon release on April 28th! « Kuroinu Chapter 1 Now On Sale! Very excited for this. Been waiting for months for the new chapter.